GEA Projects in the News: One Beekman Inches Closer to its Debut! One Beekman is getting closer to completion! 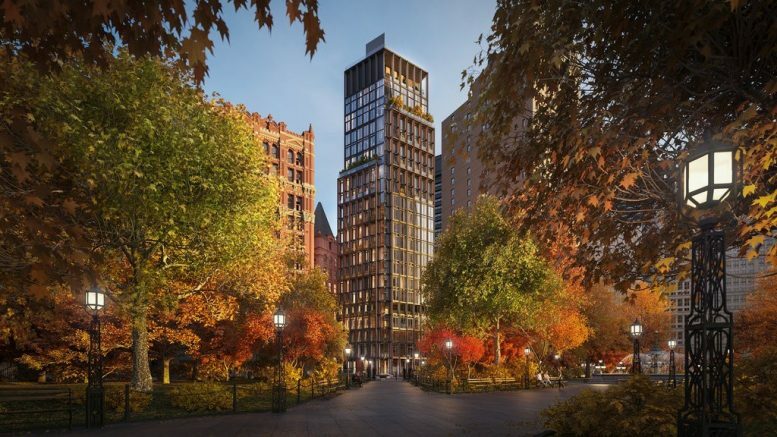 GEA is providing mechanical, electrical, plumbing and fire protection design and commissioning services to the upcoming 25-story apartment building that will be notably accentuated by dark-colored steel frame. Floor-to-ceiling windows overlooking City Hall Park will be encompassed by the steel framing and that has begun to go up on the first several floors! There will be 31 units inside this 331 foot tall structure and is on schedule for completion by the end of this year or early 2020. Distinguished apart from the traditional brick and stone buildings that are currently on the block, the “Pearl on the Park” will be hard to miss! See the original feature at NY Yimby.